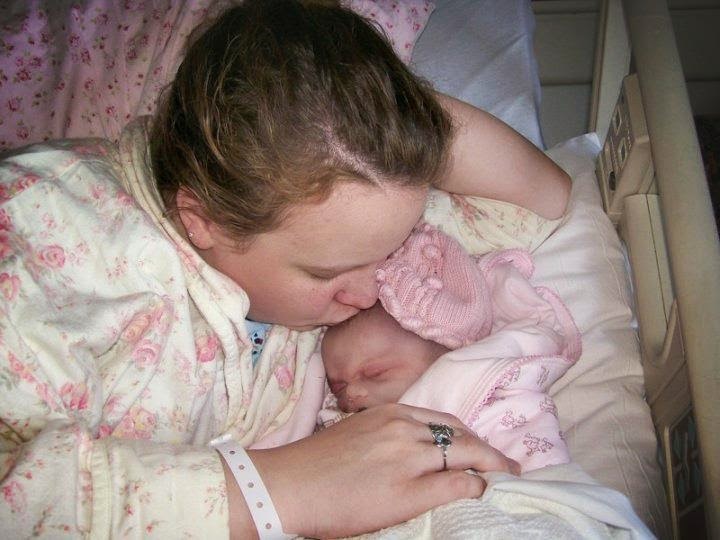 It was 8 years ago today that I gave birth to my beautiful baby girl. 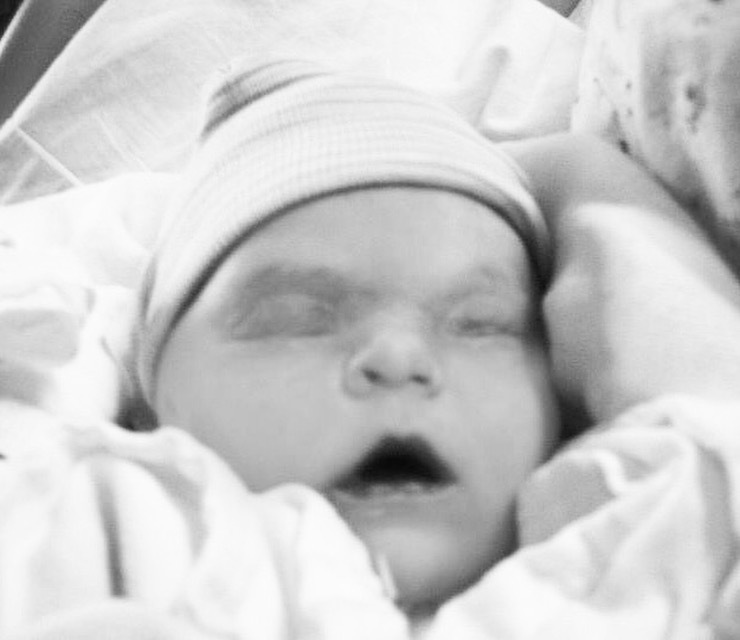 7 pounds 9 ounces and 21 inches. I didn't give birth to life, but I did give birth to love. A lifetime of love overwhelmed my heart and oozed out in those few hours that I held the precious form that had held her life. 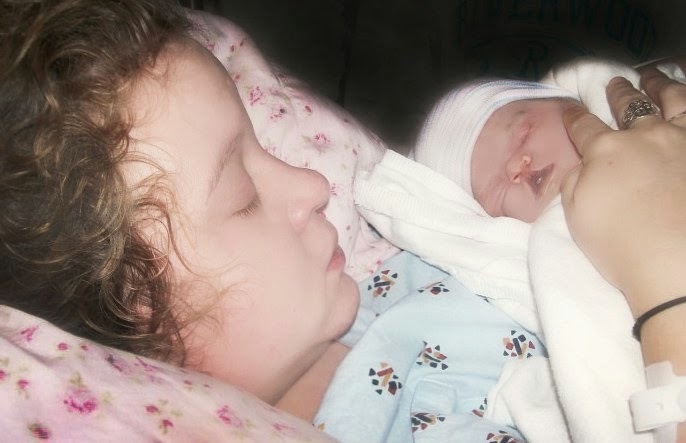 All the months of pregnancy are spent dreaming and planning, culminating in this magical moment of birth. 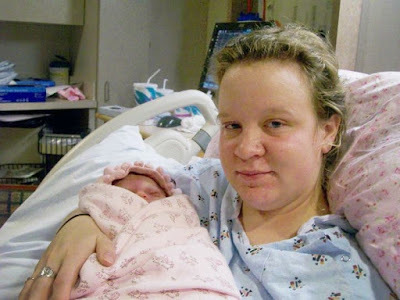 This past Christmas, I read something I shared in my pregnancy journal on Christmas Day 2009. I wrote about the dreams I had for Lily's life... things like how I wanted her to learn to play an instrument from a young age and to love music. I talked about looking forward to being there to help her open her presents the following Christmas. I was thinking about how when you lose a baby, you lose all the hopes and dreams for their life too... even things like the dream of her playing an instrument or the thought of what these simple moments might be like. But since I read what I wrote again all these years later, I have been thinking about what a GIFT it was to have been able to dream for my baby. 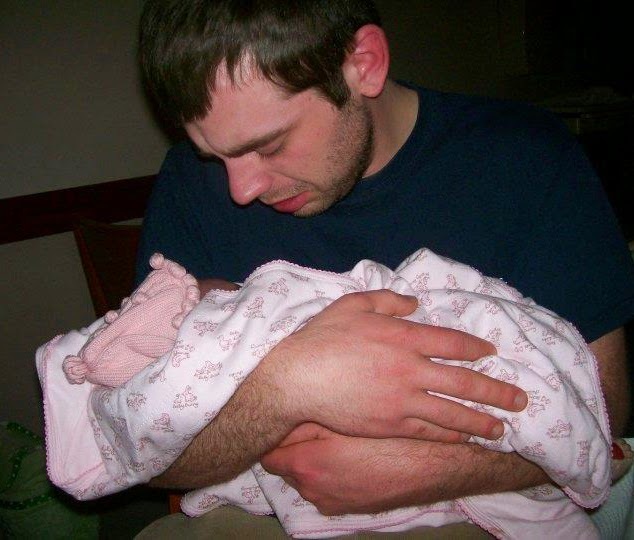 The dreams I held for her life have at times felt like they'd crush me because they will never be fulfilled. But I am so thankful for a change of perspective in the years since. Having had the gift of Lily for the months I had her, having dreamed of and for her, loving her with uninhibited devotion, dreaming for her with unhindered delight and with the belief that she'd be coming home with me.... all of that was a GIFT. And on this day of her birth, I celebrate all those dreams. I celebrate the months I had her. I celebrate the beauty of her and the joy of what her life brought mine. 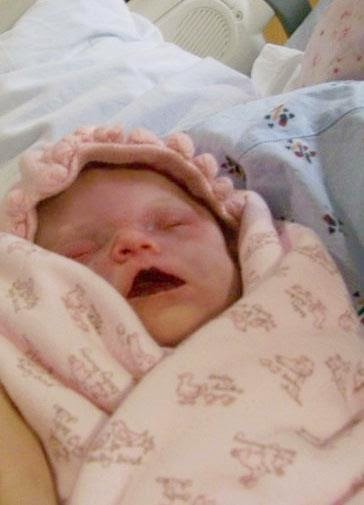 Those who have not lost a baby might wonder why we would celebrate the day of birth for a baby who didn't live to see one birthday... not even her actual birth day. On Lily's day of birth each year, I am amazed as I recall the full and purposeful life she did indeed live. A few years ago my aunt gave me a copy of a National Geographic documentary on development and life in the womb. This week I watched it again and it felt almost as if I was watching a home video of Lily's life unfolding. If you want to be astounded by the glory of God and how He intricately knits together baby's in their mother's wombs and if you want a fresh appreciation for the miracle and sanctity of life, then I recommend watching this documentary. According to what I learned in the documentary, in the 250+ days of pregnancy, Lily could taste, hear, smell, touch, and learn. She was made up of trillions of cells. She could smile, recognize my voice, and even dream! At the moment of conception, her individual unique set of DNA was created, a human signature that never existed before and will never be repeated. Did you know it takes 20-25,000 genes to make a human?! The genes she inherited already predetermined her looks and much of her character, whether she'd be stubborn, intelligent, a thrill seeker, or good at music. She got hiccups and grew dainty eyelashes and tiny fingernails. She heard the competing sounds of our heartbeats, her constant companions. She heard conversations, loud noises, and music. Her brain began creating memories, with her absorbing my voice and recognizing and responding to it. Newborn baby cries apparently already contain some of the rhythms and patterns of their mother's speech! The music she heard over and over (like the Jewel "Lullaby" CD) could even be remembered by her. Her mouth was full of tastebuds and she could already taste and smell the foods I ate through tasting the amniotic fluid surrounding her. Is there any way to describe the preciousness? The intricacy. The purpose. 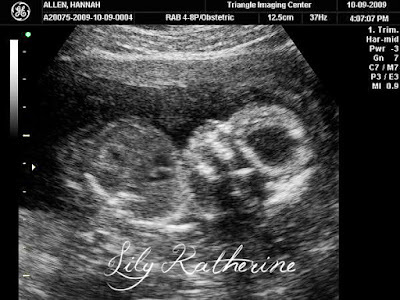 The beautiful existence of Lily's life in the womb and the lives of all children. The documentary shares how mothers made the eggs that would one day become their babies when they themselves were nestled in the womb! They are kept in storage through childhood, adolescence and into adulthood, ready to one day burst into life. I have heard this before and it leaves me astounded and amazed each time I do, but this time I was overwhelmed with the beauty of the thought that I have literally carried Lily with me in some way or another for my entire life. As I was growing in my mother's womb, my eggs developed, the eggs that would one day become Lily. And then when she was growing in my womb. After that, some of her cells have literally remained in my body and will forever! Now her heart still beats with each beat of my own and her legacy resides somewhere inside of my own, with our stories and purposes so closely woven together. So as you can see, Lily has always been with me and she always will be. When you lose a baby, you don't just lose an idea of a person or a potential possibility of a future. You lose a very real would-have-been life and future, full of all the many small and large things that comprise a life. You lose knowing what their hobbies and interests would be, the things that would make them laugh, what college they would have attended, who they would have married, who their children would have been... these things just scratch the surface. The person who is lost before birth is the same person at the core of their being who would've been in 5, 10, 20, 50+ years. All that was needed was time, development, nurturing, and love. Of course we as humans are shaped by our experiences too, yet a massive part of who we are is determined and crafted by our Creator before we are even born. The way we will look as we age is already determined, our personalities, the things we will enjoy and prefer... all of these things are wrapped up in the tiny precious package that is a newborn baby. When this precious life is lost, it's not just an idea that is lost, but the package that was ready to be opened, that suddenly never will be. The contents that were already there are somehow lost, leaving the family with an empty feeling of being somehow gipped and deprived. This package was in your lap ready to be finally opened after shaking it and longing to discover it for 9 months in eager anticipation, then suddenly death steals it back. That's a little bit of what losing a baby feels like. While I was reading an article that had nothing to do with baby loss, these words caused tears to well up in my eyes thinking deeply of my sweet baby girl. Pondering how God created her every perfectly formed detail. Remembering that it is He who crafted her life and legacy. While I slept, He knit her together. Those precious little eyelashes and nails growing out were made by His fingerprint. My body was but a vessel used to house His masterpiece. While I was sleeping... unaware and uninvolved. He showed me that I am to rest in knowing her legacy is the same as her very form... crafted by Him, even while I am unaware and uninvolved. It's not up to me to knit together her legacy any more than it was up to me to knit her together within me. I am merely the vessel. My body was what He used to bring forth her body and now my heart and words are the vessel to bring forth her legacy... even while I sleep... even while she sleeps. In 8 years of missing and loving Lily I have learned that here's a certain kind of exquisite beauty in enduring love. Love that can't see or touch, yet not only remains, but deepens. Deepens despite the separation of time and even death. When others judge and see someone "not moving on," I see a mother's lasting, enduring, abiding, persisting, continuing, permanent devotion and eternal LOVE. She didn't disappear. She isn't erased. She's just there and I'm here. But I love her just the same and anticipate the time I'll see her again. What kind of mother forgets? What kind of mother has a love that grows cold? Remember that next time judgement crosses your heart towards a bereaved mother and ask yourself not to speak the message that life isn't valuable anymore after death. Allow mothers to treasure life even in death, in many ways even more because of death. God speaks so much about dignity through love after death. Absence is felt because value is first recognized. A friend of mine said something so beautiful to me recently and I wish I could remember exactly how he phrased it, but it stood out to me and brought me much comfort. He said when I get to Heaven, my tears will dry up and Lily and I will no longer be separated. Not only that, but I will no longer even remember the separation! The pain that the remembrance of these years without her would bring will even be forgotten and washed away. Revelation 21:4 strengthens the Christian's heart in saying, "He will wipe away every tear from their eyes, and death shall be no more, neither shall there be mourning, nor crying nor pain anymore, for the former things have passed away." This month I have been a part of a special grief project an art student is doing. One of the questions she asked me is if me/my family holds and perceptions, ideas or imaginations of Lily's personality and what she would've been like. Lily Katherine is a beautiful mystery. There is so much about her that I wonder... Who would she be? What/who would she look like? What interests would she have? What would her voice sound like? And her laugh? What color would her eyes be? Blue I think. That question haunts me. At times, these things can hurt to think about. 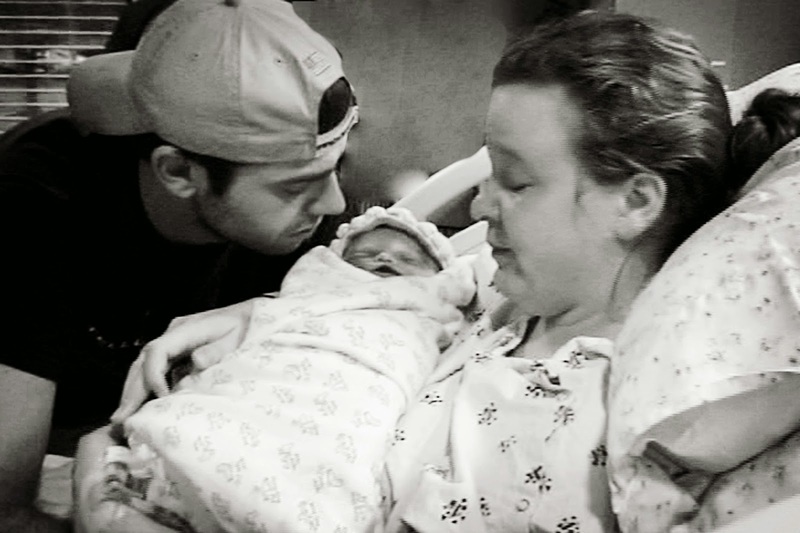 If she were here, if I'd delivered her shortly before she was born, before her little heart stopped for no apparent reason, there wouldn't be this giant question-mark on everything her life could have held. My family pictures her this way: "Wild, tough, with a loud voice, a girl who loves to run around barefoot outside and beat up boys, curly hair, hobbit feet (she had big hands and feet like her daddy lol), a button nose, sweet, very compassionate, opinionated, sassy, ambitious, a leader, a southern girl, motherly to her younger siblings and cousins, nurturing." In many ways, I think we picture Lily in many ways like I was as a girl/still am. After all, she looked so much like me and was the same length and only one ounce less than me at birth! However, she would have also been very different from me... and it's those questions that haunt and hurt. She also would have had many faults, as all humans do, and since she's not here, it's easy to picture her as this perfect and idealized child. In reality, she would have driven us nuts sometimes, but even that is a gift because it indicates life. Even the whiny and bratty sides of kiddos are a treasure when viewed through the right lenses. How I enter into your pain! Happy birthday in heaven, Lily. Hugs and kisses to you, Hannah.